The Modern Mediterranean style has influences from Spain, Italy, Greece, and Morocco. The varying shades of the Mediterranean Sea are the inspiration for many bedrooms, while shades of white add the perfect contrast. Mediterranean blue bedroom decor creates a coastal calm ambiance that is the perfect respite after a long day. It also reflects a luxurious seaside villa feeling from the comfort of your own home. Walking into your bedroom can feel like a vacation; and a place for rest, relaxation, and rejuvenation for the next day. While trying a new interior design style can feel overwhelming, there are simple ways to execute this timeless style. First off, adding the color blue is known to have a psychological effect of safety, serenity, and peaceful sleep. Placing elements such as terracotta, natural wood, rattan fibers, and jute add texture and interest to the space. Lastly, a bohemian touch of textile, rugs, or local art really brings the space together. We’ve found 12 examples that showcase either an entire bedroom designed in Mediterranean design or just elements of the style. We deliberately chose bedrooms that aren’t necessarily your extravagant all-the-way-through Morrocan palaces. Some of these are actually great examples of how just about anyone can introduce that element of “Mediterranean Blue” into the bedroom. A trip on the Mediterranean Sea gives you a feeling of limitless sky and sea. Try painting your bedroom walls in a deep aqua color for a spa-like appeal. A can of paint is the quickest (and may I add, cheapest) way to completely transform your bedroom into a new coastal vibe. When you head to the paint store, try picking out three or four blue paint colors that you gravitate towards. Paint the swatches on your wall, and look at it different parts of the day. Once you select your favorite color; this transformation only takes a few hours to paint. On a dream Mediterranean vacation, your destination would be a picturesque stone Grecian island villa with panoramic views of the sea. Once you check into your bedroom, you would notice the luminous white walls, linens, and floors. The minimal white spaces give a feeling of lightness and simplicity. The starkness of the white also complements the colorful seaside views. To complete this look, paint your walls and furniture a soft white color. Next, add Mediterranean blue accents, such as pillows or bed frames for a pop of color. 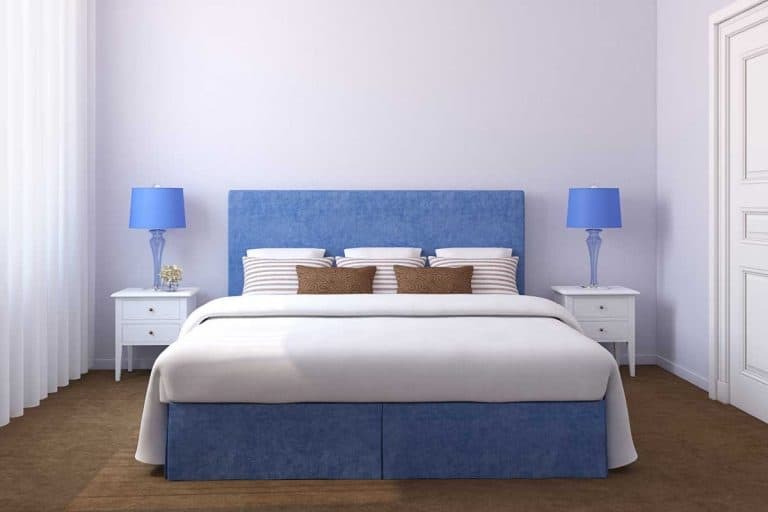 The blue will add visual interest, while also bringing a calm vibe to the bedroom space. If white minimalism decor does not excite your decor tastes, perhaps a bold Mediterranean blue ceiling is what you are looking for. Painting a ceiling blue gives the illusion of being out to sea, and swimming in the warm waters. As you lay down at night, you can feel the energy of the sea as you look up to your ceiling. To make this bold statement, stick to monochromatic bedding and wall color that contrasts with a blue ceiling; giving it a bold pop of color. Consider adding a noise machine that has wave sounds. You can drift to sleep feeling you are right next to the seaside. A key step to decorating like a professional interior designer is to layer items in your bedroom; especially the bedding. A timeless Mediterranean textile pairing is striped linens, blue blankets, and white coverlets. While layering bed linens adds visual interest to a room; it also gives it a boutique feel of luxury. The lighter the blue color, the more calming of an effect it will have. If you add darker blue colors, like navy, it will give it a more dramatic feel. While many boutique Mediterranean villas focus on minimal color; the Mediterranean blue color becomes the focal point in a piece of photography. In this example, the room is inspired by a framed picture of the Greek Island of Santorini. Santorini is famous for its white architecture, blue accents, and jaw dropping views of the Mediterranean Seas. 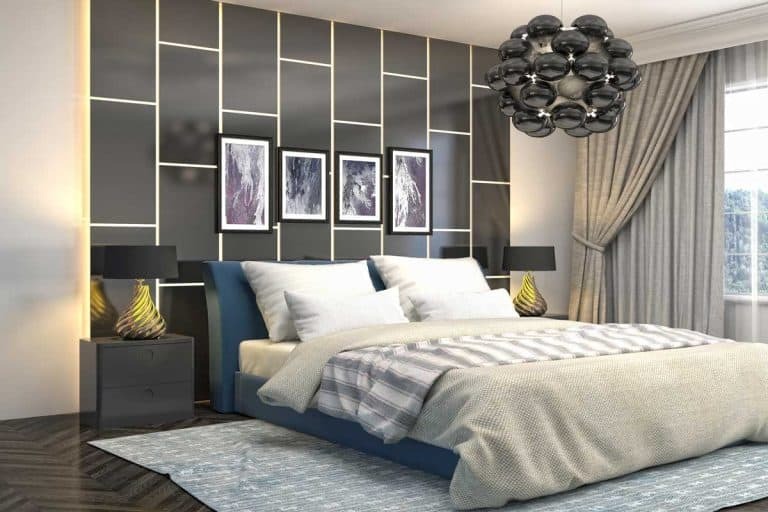 Adding art above the bed is the perfect start to a bedroom mood design. Simply match colors from the art with accent pillows or blankets, and let the art be the point of interest for the room. This will give a nice cohesive seaside design. If you are lucky enough to live with a coastal view of the sea; position your bed so that you face the view. Adding pops of white will give a monochromatic view that frames the Mediterranean blue sea view. This type of design is best for those wanting to feel inspired by the natural energy of the water. 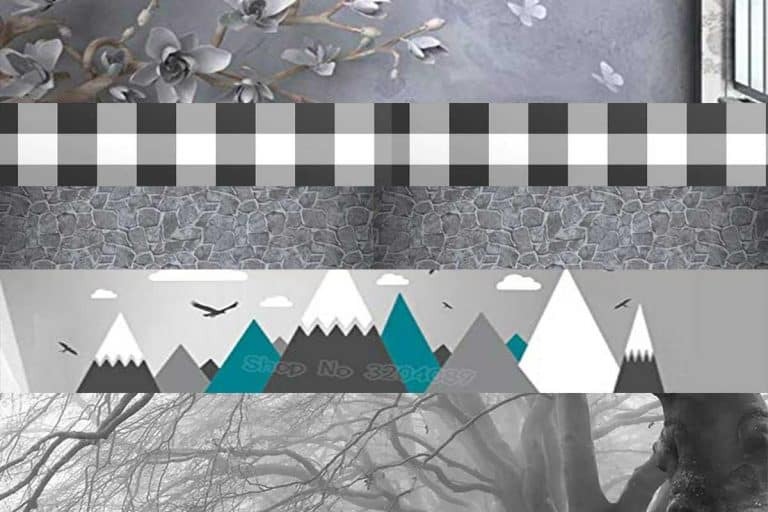 Interior design that complements nature will have subdued neutral tones similar to an art gallery. The panoramic view of the sea becomes the focal point of the bedroom. Ancient Greek and Roman empires inspired our modern world, and left beautiful architecture, pottery, and art in its wake. For one design vignette, try adding antique terracotta vases to your bedroom window for an old world feeling. Grecian Art is the perfect complement for the walls, along with sculptures, mirrors, and tiled floors. The combination of the historical textures gives a feeling that you traveled back to a simpler time of seaside living. A pop of Mediterranean blue velvet pillows bring just the right amount of color to a darker space. If your tastes are slightly more exotic than Greece and Italy, try adding Moroccan architecture and art to a bold Mediterranean blue room. Moroccan style has Arabic and African design elements giving it a true Bohemian style. If you are well traveled, and love added art from several countries, a Moroccan style bazaar will give the perfect canvas for a bedroom full of travel trinkets and curiosities. After painting your bedroom blue, consider adding Moroccan wood carvings, art, and textiles for a warm and inviting bedroom. A bold aqua Mediterranean room has the perfect complement with a jewel toned Moroccan rug to add a bit of exotic flair to a room. The warming texture of the wood window can bring the feeling of nature inside, along with the seaside colors. To complement the rainbow of colors, a minimal white bedding gives a feeling of being at high end hotel near the sea. Many of these design elements can be picked up a local antique store, or world market that focuses on global designs. Right after a storm, the Mediterranean Sea can turn an amazing deep teal color. The color teal symbolizes self- sufficiency, calm, and sophistication. Since it between green and blue in the color wheel, it can offer the tranquility of blue colors while adding the balancing effect of green. Adding it your walls can reflect a boldness in your personality; and reflect a powerful presence in your bedroom. Teal is complemented with pops of white bedding, floors, and lights. It is a great color for a teen’s room or an upscale bedroom. Spanish and Moroccan Mediterranean homes have beautiful handmade terracotta tiles throughout them, even into the bedrooms. Another way to add Mediterranean Blue to your bedroom is with the flooring. Nothing adds impact more than an exotic handmade flooring that reflects the colors of the sea. Moroccan and Spanish design have Arabic influences to them which adds to the global and exotic feel to any bedroom. If you are looking to add unique elements to your bedroom, a blue tiled floor would be a show stopper! We hope you found these ideas inspirational! 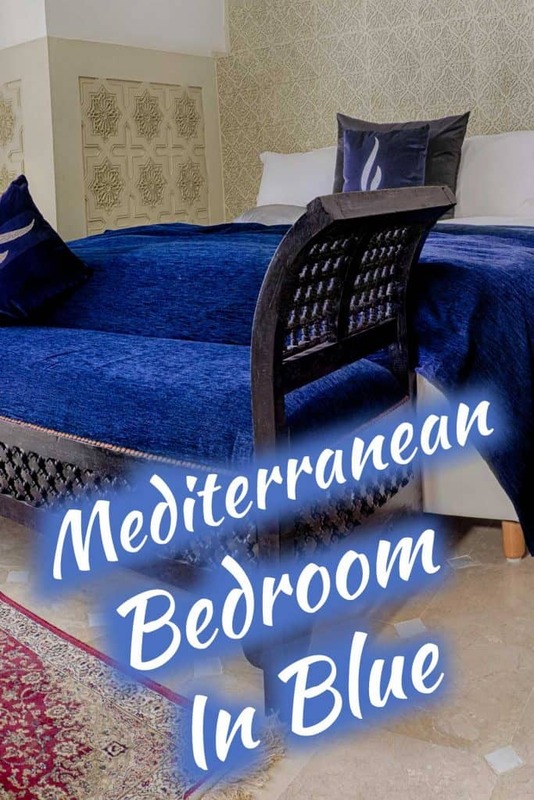 Enjoy designing your own wonderful blue Mediterranean bedroom! What Bedroom Color Is Most Relaxing?